A new report from the Bureau of Labor Statistics (BLS) showed that total employment costs (employer-paid taxes such as Social Security and Medicare in addition to the costs of wages and benefits) in America grew at a faster rate in the third quarter of 2017. 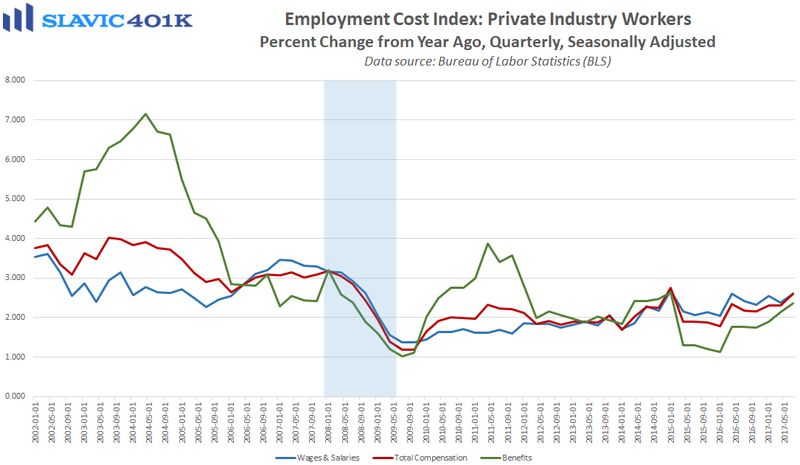 Specifically, total compensation costs for civilian workers lifted by 0.7 percent in Q3, in line with forecasts and up from the second quarter’s 0.5 percent increase. 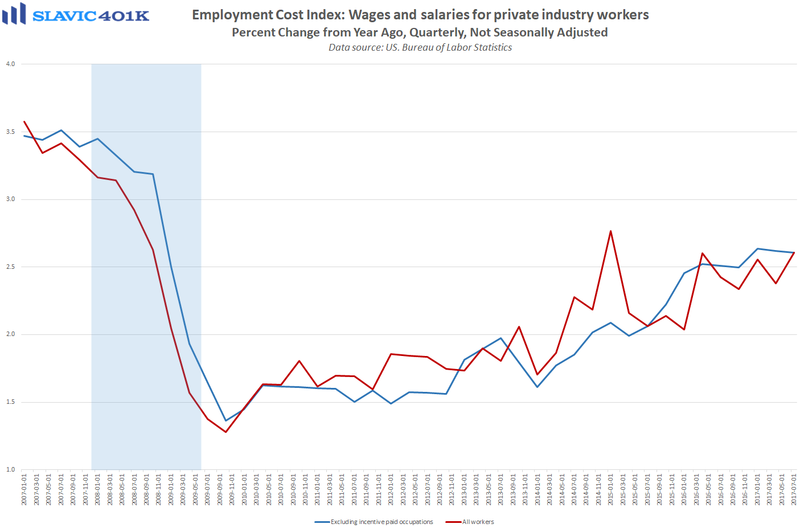 Wages and salaries, which make up about 70 percent of compensation costs, also lifted by 0.7 percent last quarter, while benefits rose by 0.8 percent. 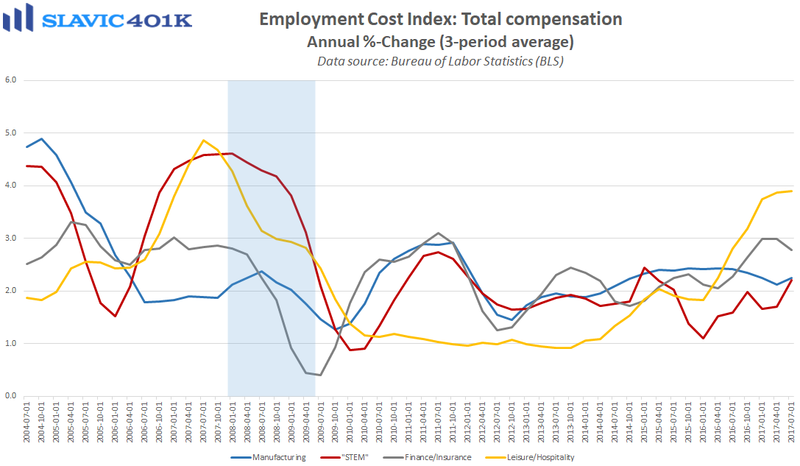 Compared to a year earlier, total compensation costs increased 2.5 percent in Q3, up from 2.4 percent in the prior quarter and the fastest pace of annual growth recorded in nearly three years. 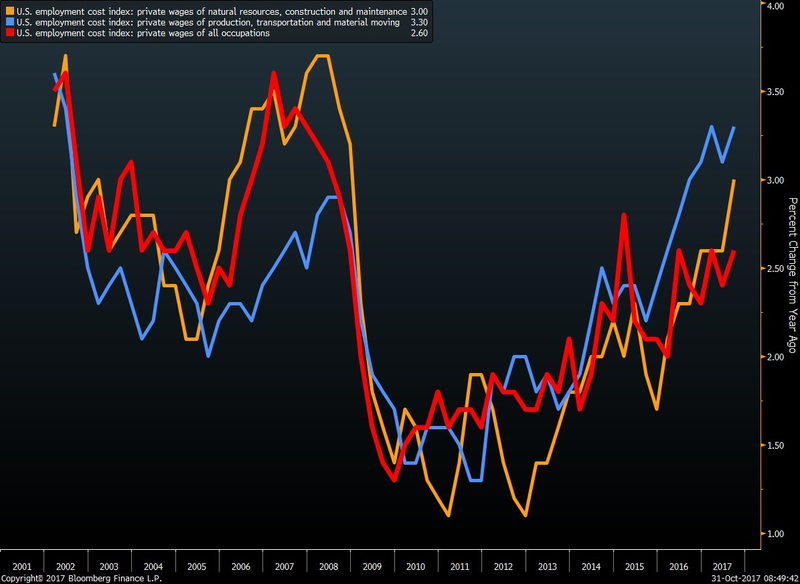 The manufacturing sector appears to be driving headline growth while gains in the services sector have been modest. This is especially true in the restaurant industry, where employers may be retaking some bargaining power. Overall, though, compensation growth is getting closer to a level that will start to put upward pressure on broader consumer inflation. 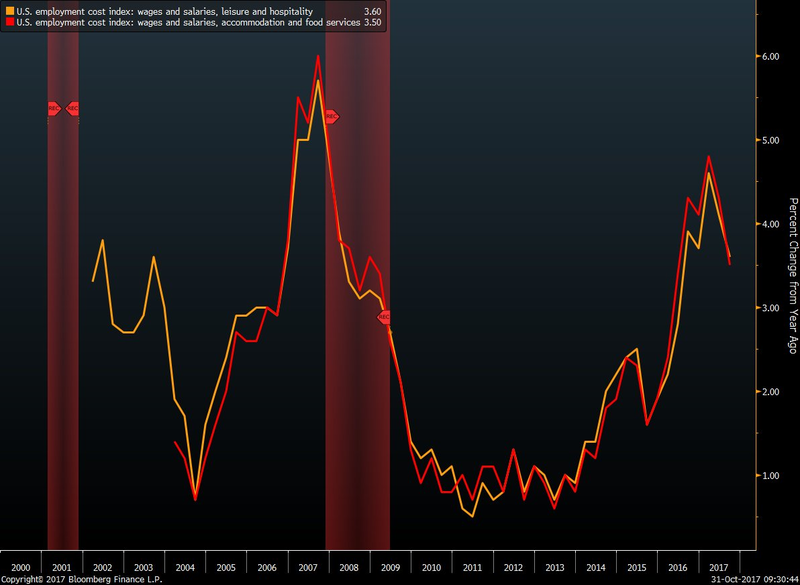 This trend should persist as long as the labor market continues to tighten.